The transmission is the most difficult vehicle component to repair. 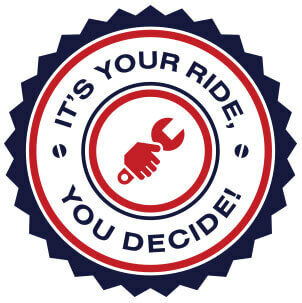 Even the most experienced do-it-yourselfers will avoid performing transmission repairs on t their vehicle. We encourage all motorists throughout the Logan, UT area to come to Transportation Repair first! Our advanced engine diagnostic equipment will find out exactly what’s wrong with your transmission’s performance. Not only will we find out what’s wrong, we’ll provide the right repair solution. Just because you’ve been quoted for an expensive and time-consuming transmission repair, rebuild, or replacement doesn’t mean that’s right service. Come to Transportation Repair for a second or third opinion to make sure you’re receiving the correct transmission repair. Our team will let you know if a transmission repair is actually needed. We can often improve transmission performance with a transmission flushes, fills, and fluid exchanges. Rough Gear Shifts? Transmission Slipping?–Call Us! Your transmission is supposed to make your vehicle’s acceleration and deceleration smooth and seamless. If you notice any performance issues–rough gear shifting, delayed acceleration, transmission slipping, etc.–act fast! Get to our expert facility to find out what’s happening with your transmission. The sooner you get to Transportation Repair, the sooner we can return you to safe, comfortable, and confident road travel. Our transmission repair experts can also provide complex services like transmission rebuilds and transmission replacements. We use the industry’s most advanced diagnostic tools, technologies, and service equipment. Transportation Repair goes above and beyond to earn and keep your trust in our transmission services. Don’t trust your transmission repairs to just anybody. Our experienced and well-trained team works from a state-of-the-art facility. We stand behind all of our transmission repairs with a competitive service guarantee of a 12 Months / 12,000 Miles Warranty. Start here, if you ever notice a transmission performance issue. They’ll start and finish here! Our auto repair experience is always quick and convenient for our customers. We know you have better places to be than Transportation Repair shop’s expert facility. You bought your vehicle to be on the road and to have quality driving experiences. Take a moment to stop by to meet our team if you haven’t yet, and save your vehicle from a variety of problems down the road. We’ll keep you two steps ahead of any transmission repair needs with our preventative maintenance services and thorough inspections. Give us a call today at 435-752-0488 to schedule your next transmission repair appointment. You can save time by using our convenient online scheduling system right now. Next time you’re in the area–924 West 400 North–feel free to stop by with any questions or concerns.